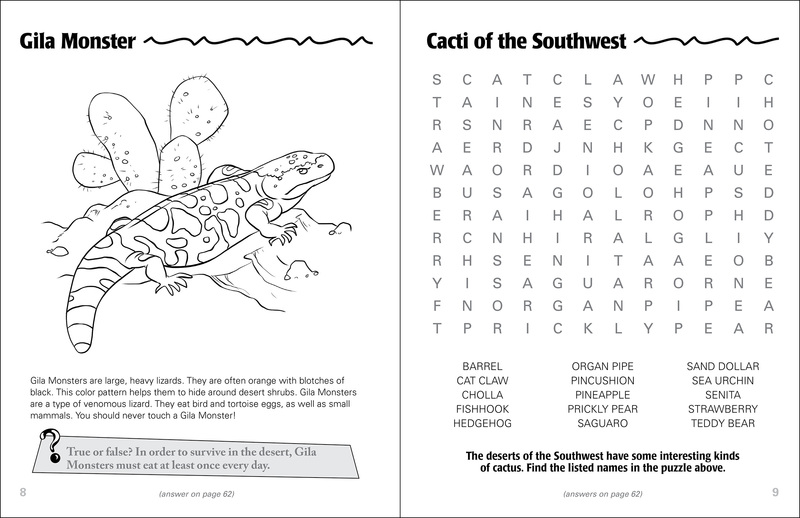 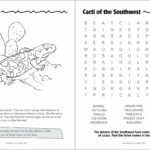 Coloring pages, word finds, mazes, and more about desert animals and plants. 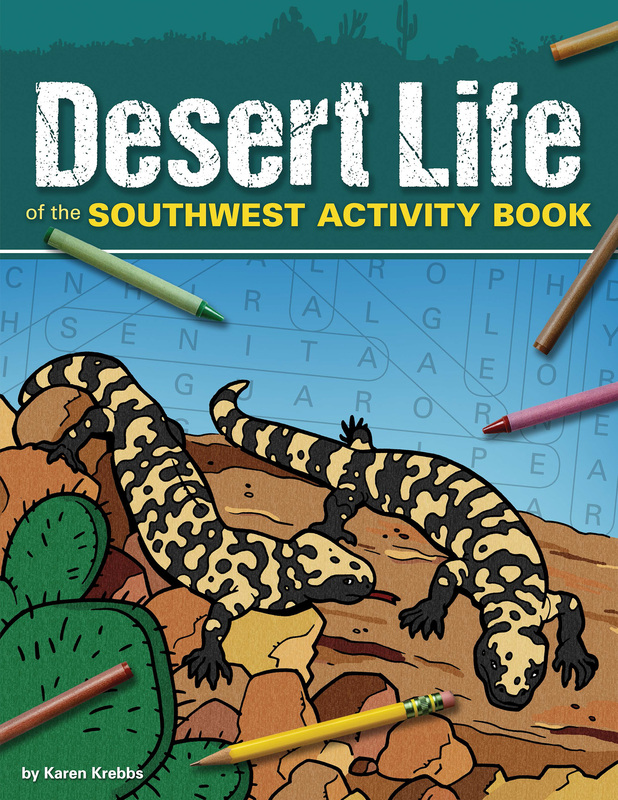 Discover the Amazing Animals and Plants of the Desert! 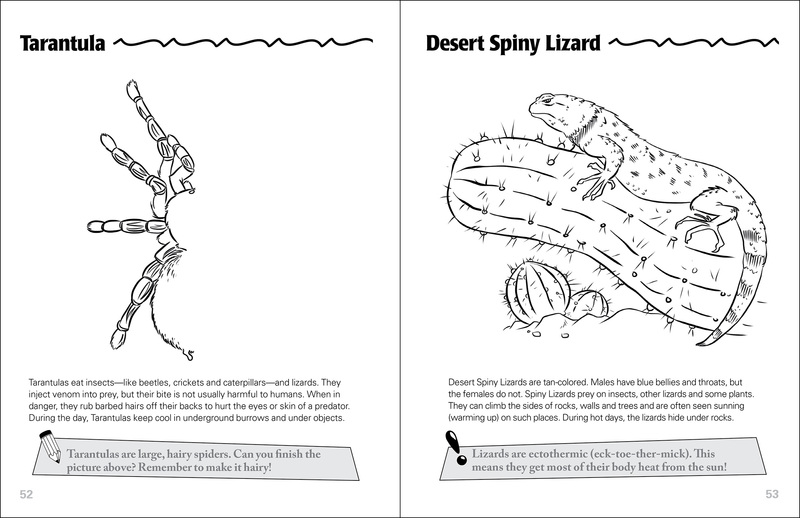 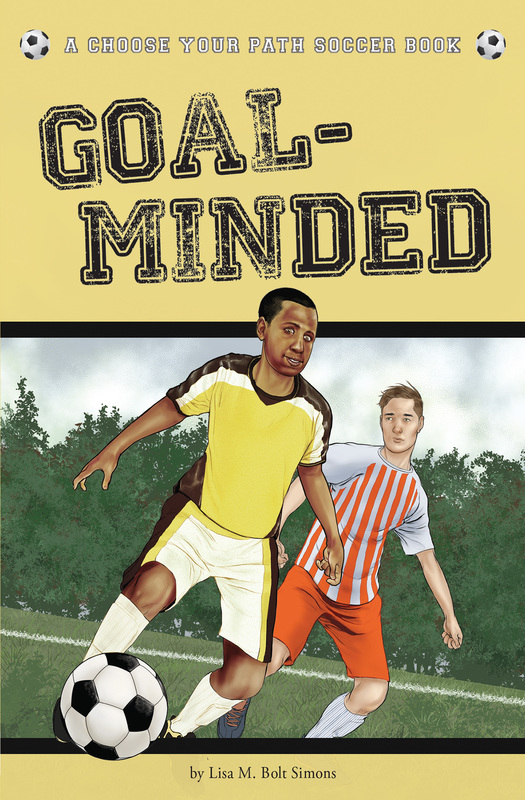 Children often imagine the desert as a barren, lifeless place—but the Chihuahuan, Great Basin, Mojave, and Sonoran deserts are brimming with plant and animal life. 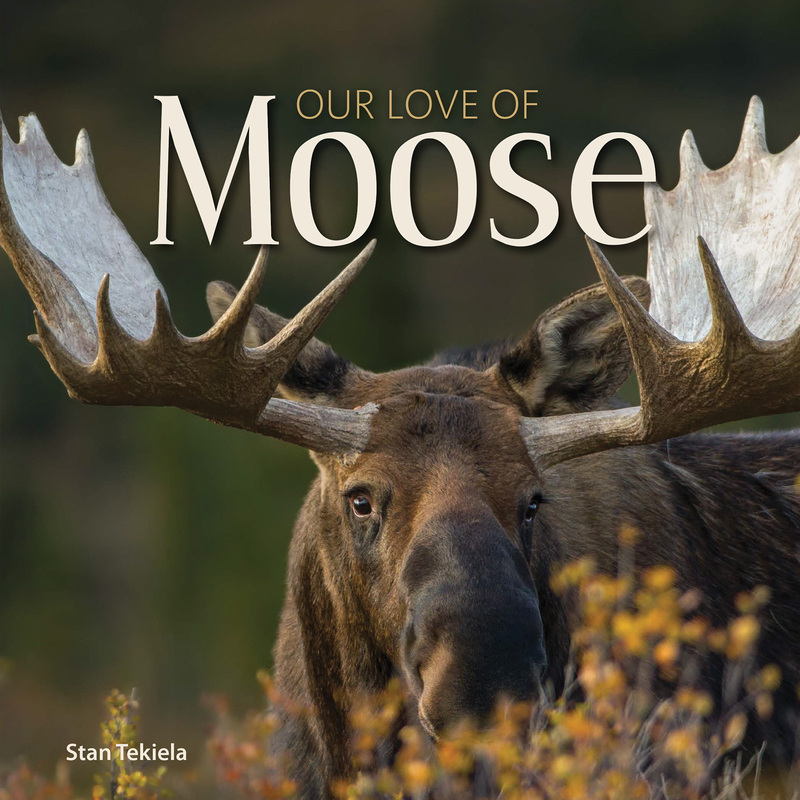 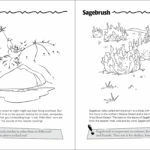 Learn about the wonders of this amazing habitat and how animals survive there in an interactive introduction by Karen Krebbs that’s sure to occupy kids for countless hours. 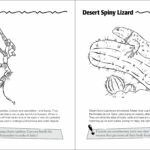 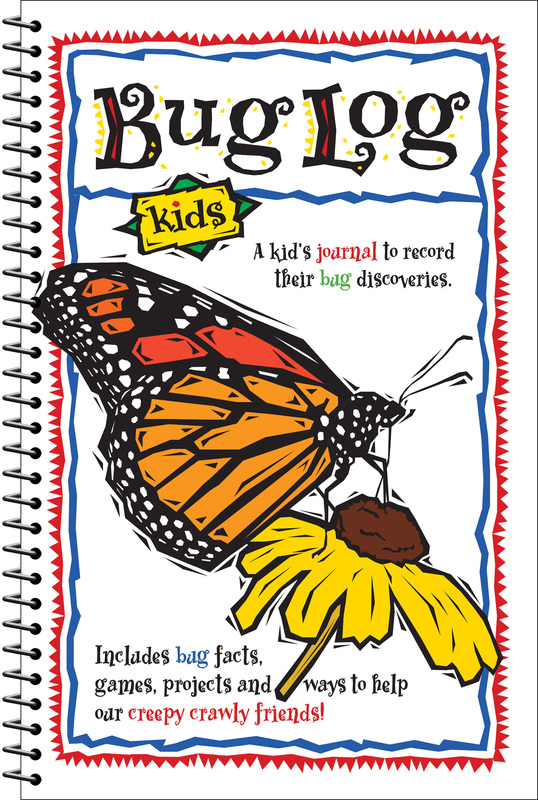 Through coloring pages by Phil Juliano, word finds, mazes, and more, young nature lovers will discover fascinating facts about everything from scorpions and javelinas to sagebrush and cacti. 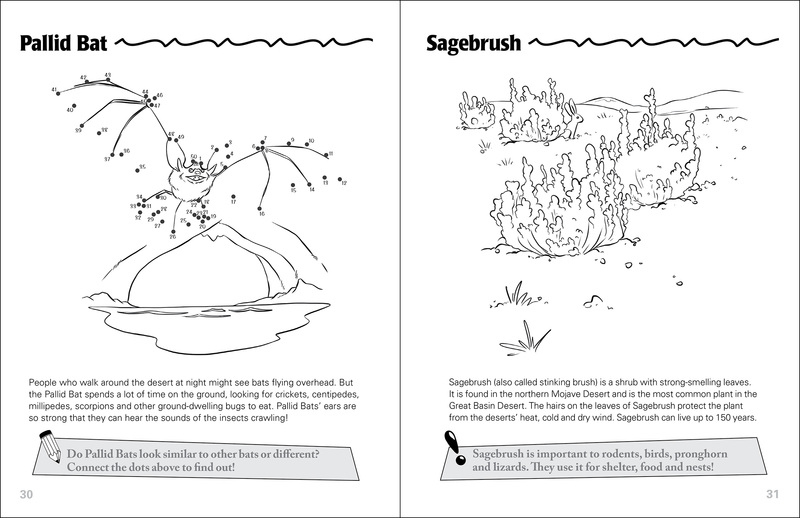 Your children will never view deserts the same way again!